The Hunter Softie Alu-Strong Nubuck Leather Dog Collar is a soft and supple artifical leather dog collar available in three sizes with a metal slider for full adjustment to help you achieve the perfect fit for your dog. The aluminium side-release buckle is chunky yet light weight ensuring that the collar is easy to open and close while remaining comfortable for your dog. 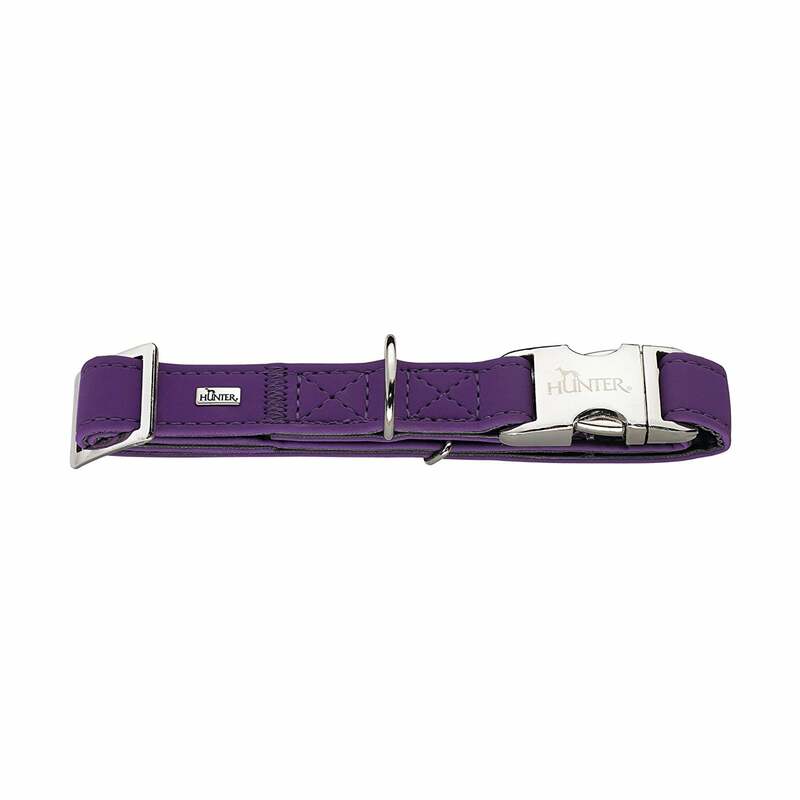 Available in bright attractive colours that match the Hunter Softie Nubuck Leather Dog Lead.